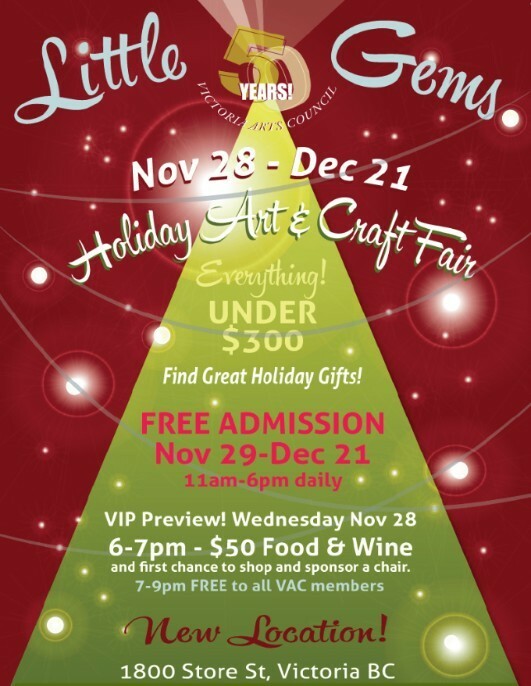 The Victoria Arts Council (VAC) is pleased to host another installment of Little Gems at 1800 Store St. This festive event kicks off the holiday season with works by a wide variety of local artists and artisans, including painting, drawing, pottery, craft, and photography as well as prints and art cards. Just in time for holiday shopping; there is a little something for everyone with all pieces priced $300 or under.